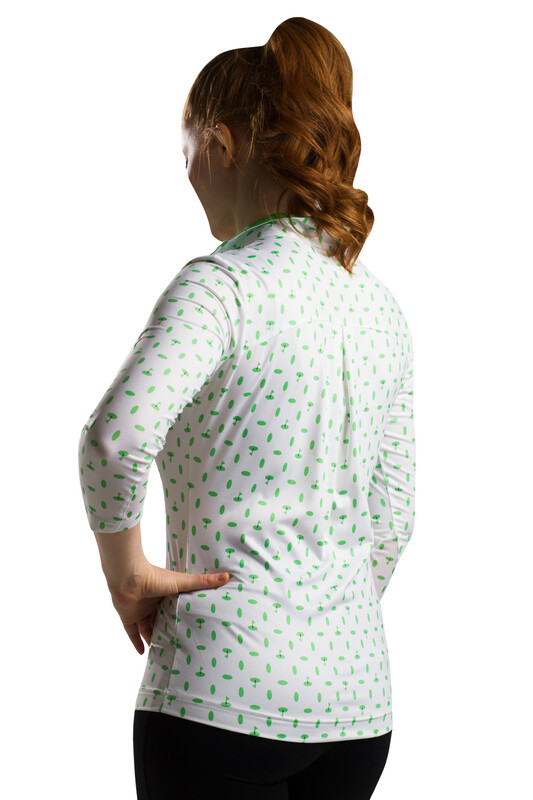 Inverted Back Pleat:New Cooling Feature from SanSoleil. The reverse pleat holds the fabric slightly away from the skin allowing for easy air flow and quick cool. 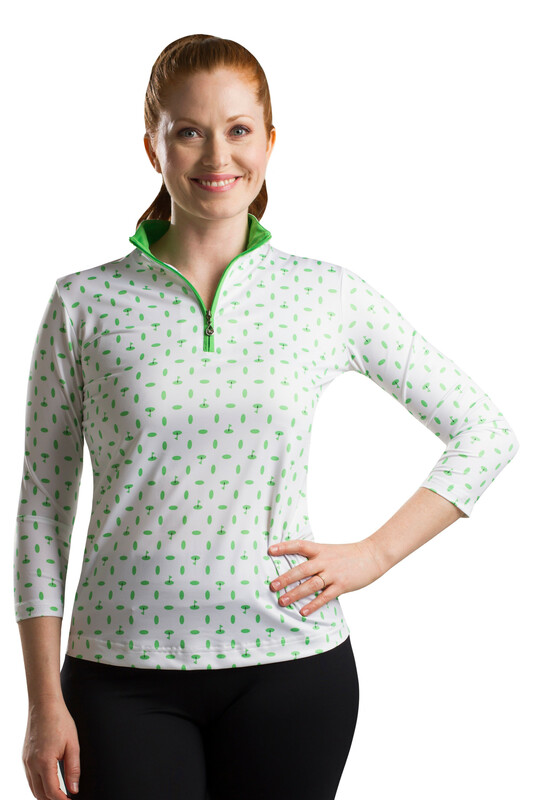 SanSoleil "SolCool Fabric" Performance print polo offers moisture wicking, quick dry and athletic stretch nylon inserts for cooling ventilation. And, most importantly, UPF 50 Protection. These garments are great for sports that require fabrics that move and are lightweight for exertion in the sun's heat. Can't give this company enough posititive thanks.